animation | No Chic. Just Geek. With BlacKkKlansman out of the way, my red-eye odyssey of catch-up cinema continued, somewhere over the Atlantic, with Peter Rida Michail and Aaron Horvath’s Teen Titans Go! To The Movies – something I had actually considered going to see on the big screen when it was originally released, but ultimately decided against based on the somewhat mixed reviews it received – but with the in-flight meal a receding memory and nothing else to do for several hours, this looked like an undemanding way of passing the time. I’m guessing you either know who and what the Teen Titans are or you don’t (there is admittedly not a lot of room for ambiguity on this sort of point). We are back in the realm of superheroes here, specifically of the DC variety: the Titans (usually Teen but also occasionally New) are the youth wing of the company’s roster, originally composed of the young sidekicks of their most popular adult characters – thus, the early line-up included Robin, Wonder Girl, Aqualad, Kid Flash, Green Arrow’s ward Speedy, and so on. Later incarnations of the book saw more original characters and a definite attempt to replicate the feel (and popularity) of the X-Men. This movie is apparently a spin-off from the most recent of several cartoons based on the comic; the animation is relatively simplistic and the tone is irreverent and knowing. The team roster for the movie consists of Robin the Boy Wonder (Scott Menville), along with a bunch of other characters not well-known outside the world of comics: Raven, Cyborg, Starfire and Beast Boy (I suppose Cyborg’s profile has risen a bit since he appeared in Justice League). The movie opens with their home city under attack from the nefarious Balloon Man, and as they try to stop him they are horrified to learn the villain has absolutely no idea who they are. The team (perhaps correctly) assume that nowadays you haven’t made it as a superhero until you’ve been the subject of a big Hollywood movie, and are alarmed to discover that no-one is intending to feature them in this way – there are, however, advanced plans for any number of scraping-the-barrel Batman spin-offs. Well, as I hope you can see, the makers of this movie deserve at least some credit for persuading DC Comics to let them include some fairly barbed material making fun of not only various well-known characters but also the company’s somewhat chequered recent record when it comes to putting its characters on the big screen (this is the third film I’ve seen in the last year taking a hefty swing at the 2011 Green Lantern movie; perhaps it is time to declare a moratorium on cracks at a movie which really wasn’t quite as bad as all that). Are there an awful lot of superhero films being released these days? There certainly are. Are some of these films the result of creative choices perhaps best described as inexplicable? Once again, it is difficult to disagree. Is this therefore fertile ground for a movie affectionately satirising the current situation? Well, absolutely. Much of Teen Titans Go is, then, very clever and a lot of fun, in addition to being steeped in the lore of one of the great comic-book universes. The problem is that the bits that are not, are really not very good at all. Some of this will probably be a question of personal taste – I have a bit of an issue with the characterisation of the main characters, as it is so totally unlike the ‘straight’ version, but I am aware that other people won’t have a problem with this. I was also really not impressed by how puerile and bodily-function-obsessed many of the jokes in this film were. However, I suspect that most people would agree that this film isn’t of the same quality as others which it is clearly aiming to duplicate – the songs aren’t as good as the ones in the Lego movies, and it’s not as consistently inventive in its jokes as either of the Deadpools. You can spot moments and whole sequences where the film-makers ran out of inspiration and just decided to go with the first idea that occurred to them, no matter how weird or disconnected it was. Being brilliant for five minutes at a time is not easy and we should not underestimate how good and timely some parts of Teen Titans Go are. However, the film really does throw into sharp focus just what an achievement it is when a film is consistently brilliant for an hour and a half or two hours. This movie passed the time enjoyably enough, and I was never in danger of falling asleep, but it’s a quirky little satellite to more substantial movies, rather than being really significant itself. All good things must come to an end, but, for the time being at least, Toho’s series of animated Godzilla movies rumbles onward. These suckers are getting theatrical releases in Japan before turning up on a market-leading streaming site, which I suppose is something; it’s just a shame the movies themselves aren’t slightly, erm, less awful. Moderately hot on the heels of Planet of the Monsters, which appeared around the start of the year, here comes the follow-up, which was at one point going to be called Living Robot City Final Battle (gotta love these literal Japanese translations) but has actually appeared under the title Godzilla: City on the Edge of Battle (which I presume is a tip of the hat to either Star Trek or, less likely, Blake’s 7). 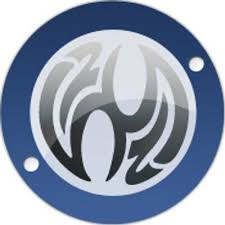 As before, proceedings have been overseen by Kobun Shizuno and Hiroyuki Seshita, and events pick up pretty much directly after the conclusion of the previous film. It says something about the thorough-going incoherence of Planet of the Monsters that I couldn’t actually remember exactly how it ended, beyond a big battle and a really, really (300m-tall) big version of Godzilla turning up, but picking up the threads is not that challenging. The story so far: refugees from the planet Earth have arrived at, um, the planet Earth, twenty thousand years in the future (it’s time dilation, or something). They have been dismayed to discover that the whole ecosystem of the planet has evolved to mimic the unique biology of the giant nuclear monster Godzilla (whose appearance was the whole reason they left in the first place). Nevertheless, a landing party under the command of stroppy Captain Sakaki engages and manages to kill one Godzilla, before a second, bigger one turns up and stomps them all. The sequel gets underway with the survivors regrouping, uncomfortably aware that the mother ship may well just fly off and abandon them all there with the monsters. But there is hope on the horizon as they make contact with natives, who, if not exactly friendly, are not exactly hostile either. There is some heavy and not exactly subtle foreshadowing going on here, for those in the know: it seems the natives also have monster DNA, but rather than that of Godzilla it’s that of some kind of insect. They say their god was killed by Godzilla, leaving behind only a giant egg. Translating on behalf of the egg are a couple of twin girls with psychic powers. All this left me feeling rather conflicted: I do love me a decent appearance by Mothra, which is what all this is clearly setting up, but the prospect of seeing my favourite giant lepidoptera mucked about in a film like this one is hardly appealing. As it turns out, the Mothra appearance, should it come to pass, will be in the next film in the series (which looks like it will also have Ghidorah in it). This film has other classic kaiju characters to muck up. Our heroes discover that the locals are using arrowheads made of highly advanced ‘nanometal’, which it turns out they have been harvesting from the ancient ruins of the launch site of Mechagodzilla (who was not ready in time to fight Godzilla back in the 20th century). Investigation of the site reveals that… actually, I should say fasten your figurative seat-belt at this point… the wreckage of Mechagodzilla has, over the intervening twenty thousand years, grown into a living, artificially-intelligent city composed of nanometal. A plan is hatched to lure Godzilla (the 300m version who’s just been standing around up to this point) into attacking Mechagodzilla City (as this rather unlikely piece of urban sprawl has been christened), which should have the ability to kill him, thus reclaiming the Earth for the refugees. Or something. But, given the tendency of the nanometal to go about assimilating and absorbing people, could this not just be a case of trading in one menace for another? Now, the idea for this movie is a bit out there, but there’s a sense in which that’s what you expect from a Godzilla movie. And the idea of a Godzilla movie where the city itself actually resists being stomped and fights back against the monster (rather than useless toy tanks trundling into sight to do the job) is one that has a certain degree of promise. It almost goes without saying that City on the Edge of Battle does not realise this promise in any meaningful sense. I think the problem may just be with the nature of the animation in these films. As before, there is a mixture of traditional cel animation, 3D CGI, and what looks very like some form of rotoscoping. 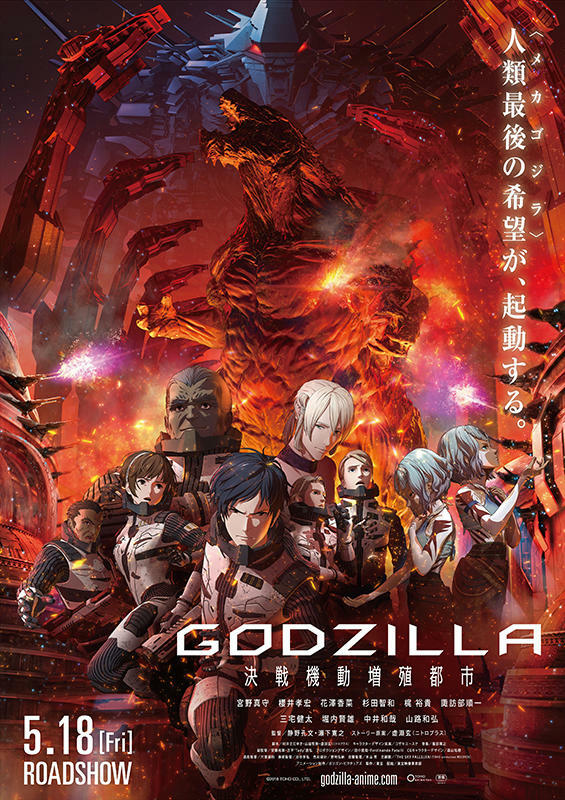 The human-scale action is fine, as these things go, and there are some scenes with mecha attack craft in this movie which are also well realised. The problem is that Godzilla himself is almost wholly static; all he does is occasionally blast out a heat ray. The set pieces in this movie mostly consist of Godzilla just standing there being shot at. This is not good. There is no sense of scale or grandeur, and no scenes of Godzilla tearing down the towers of the living city bare-handed. To be honest, Mechagodzilla City turns out to be a major disappointment: it doesn’t even look anything like Mechagodzilla (you would expect the odd piece of visual reference in the architecture). I was expecting the climax to be Godzilla razing the surface structures of the city, only for the ruins to reconstitute themselves as Mechagodzilla in a more traditional form and a proper monster clash to take place; this does not happen. I suppose this is still something of an improvement over Planet of the Monsters, in that it is not quite such a nihilistic bore of a movie; it also has the beginnings of a fairly interesting subtext about the place of humanity in the world – on the one hand, the Mothra-worshipping inhabitants of the future Earth are clearly at one with nature, while the refugees’ alien allies are absolutely on-board with the notion of bonding with the advanced technology of Mechagodzilla City and beginning a cyborg phase of existence – this is the kind of theme which pops up in all sorts of Japanese SF and fantasy, and it’s a shame it’s not better realised here. Still, in the end this isn’t just a bad movie, it’s also a dull one, with any improvements over the first film marginal at best. Normally I would say that the prospect of seeing Mothra and Ghidorah in the next one would be enough to give cause for optimism, but these films have been so flawed in both concept and realisation that it’s difficult to imagine how the next instalment can offer much in the way of redemption. Here comes the first big catch-up release following the cessation of footballing hostilities for another couple of years – Brad Bird’s Incredibles 2. The first Incredibles came out in 2004, a geological age ago in cinematic terms. In that year, Marvel released Spider-Man 2, which was rather good, and also the Thomas Jane-starring version of The Punisher and the third Wesley Snipes Blade movie, which were not; meanwhile DC brought out the Halle Berry Catwoman, proving that they didn’t need Zach Snyder on the payroll to make terrible movies, and there was also Hellboy, possibly one of the best of the bunch but maybe a bit too quirky to really bust blocks. Along with The Incredibles, that makes six films in the genre in the year, only a couple less than in 2018. People complain nowadays about superhero fatigue but the fact is that these films have made up a big chunk of the landscape for a long time. Fourteen years is a long gap between films (it would have been even longer, had the production period on Incredibles 2 not been unexpectedly cut by a year), and with it comes a significant level of expectation. In this case, the expectation seems to have been that it will contain some kind of commentary on either the superhero genre or our current fascination with it – it’s a Pixar movie, after all, and this studio does have a reputation for making very, very clever films. The action picks up pretty much where the first film ended, with the Parr family of superheroes – consisting of mighty brick Mr Incredible (Craig T Nelson), stretchy Elastigirl (Holly Hunter), invisible girl Violet (Sarah Vowell), and speedster Dash (Huck Milner) – taking on the villainous Underminer, despite the fact that overtly superheroic activity has been banned for many years. That their encounter with the Underminer does not go entirely to plan, does not help the situation much, and leaves the family in somewhat dire straits financially. This is, as noted, a Pixar movie, so it almost goes without saying that it is almost supernaturally beautiful to look at and inspired in its design, retaining the retro sixties-style aesthetic of the first. It also handles the various tropes of superhero fiction with confident deftness, introducing a number of new characters and staging some brilliant set pieces and action sequences. From an aesthetic point of view, this film is another huge achievement for Pixar’s artists and animators. However, that said – anyone looking for a subversive new take on the superhero formula (such as it is) will not find much meat to chew on. The film retains the same resemblance to Marvel’s Fantastic Four that caused the makers of the 2005 FF movie so many headaches (the two families of superheroes have largely the same power set), while the idea of the superhero ban (surely derived from Watchmen) is also central to the tale. But it doesn’t really do anything new in this respect, perhaps because Pixar and Marvel Studios are both ultimately subsidiaries of Disney, who – one would guess – don’t want to risk appearing to diss a genre which has earned them billions of dollars just this year. Instead, the film’s central idea is basically the one of gender role reversal – Elastigirl goes off to fight crime, and finds herself caught up in the machinations of a supervillain called the Screenslaver, while Mr Incredible has to contend with various domestic crises, including the baby of the family unexpectedly developing his own superpowers. And, you know, as concepts go it’s okay, although it’s a bit less radical than you might reasonably hope for – early on there’s an interesting scene touching on some quite topical issues, such as how much you should accept the various injustices of the world, and the correct response to unfair laws, but none of this is really developed. Instead we get the Elastigirl-as-a-solo-heroine storyline, which is quite engaging and contains some stunning sequences, and the sitcom stuff with the rest of the family, which is consistently fairly amusing. The thing is that it never quite sings, with the two plotlines continuing in parallel and not really informing one another much; obviously the stuff about a working mum (and a superheroine to boot) chimes quite well with the Unique Moment, but one has to remember that the long lead times on films like this mean that this is most likely a piece of serendipity more than anything else. It certainly doesn’t feel like a film making a big statement about feminism, or indeed anything else. As I say, the production process on Incredibles 2 was cut short by a whole year when the film’s release date was brought forward to allow more time for work on Toy Story 4 – I can’t help wondering how much it has suffered as a result. It is, as I say, an incredibly beautiful and well-made film, but it does feel very saggy around the middle, possibly overlong, and it never really engages the emotions in the way that Pixar’s best work does – the supporting film, another wonderful little short called Bao, is much more successful in this respect. 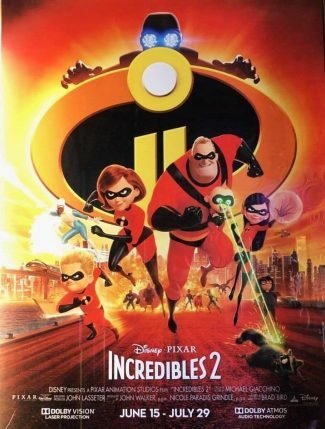 Once again we find ourselves considering the extent to which a film studio can become a victim of its own success – Incredibles 2 is, by any objective standards, a very good film in many ways – often funny, well-played, with a brilliant aesthetic and strong opening and closing sequences. But as a Pixar movie, and especially as a sequel to The Incredibles, it’s just not quite up to the standard that I was expecting. A very good film, but not really a great one, and anything less than great coming out of Pixar really is slightly disappointing. Over here, though, not so much, especially when you consider the extent to which the Beatles have written themselves into the fabric of our popular culture. Everyone knows a couple of dozen Beatles songs in some detail, but nobody under fifty can remember where that knowledge came from, I suspect: it’s a strange kind of cultural osmosis, to which each new generation is subjected. Judging from the number of parents bringing quite small kids to a 50th-anniversary revival of Yellow Submarine which I rolled up to the other day, I may have seen the process in action. Directed by George Dunning, Yellow Submarine, I probably don’t need to tell you, was the Fab Four’s third movie, and one with which they had fairly minimal involvement, not least because this is a full-length animation featuring a dozen or so songs from the lads. Things get underway with a vision of Pepperland, a paradise of freedom, enlightenment, and music, where all is peace and harmony – at least, until the place is heinously assaulted by the implacably negative Blue Meanies, a bunch of killjoys with a rather eccentric arsenal of apple-bonkers, anti-music missiles, snapping Turks and a terrible flying glove. I’m really in two minds when it comes to the plot of Yellow Submarine – on the one hand, there is something absolutely sound and perhaps even mythic about the basic structure of the quest for help against invaders. But on the other, I can’t help thinking that this isn’t a musical film in the conventional sense – by which I mean, it’s not a narrative in which the songs serve to establish or develop character, and comment on the plot. Rather, it seems like a collection of songs around which a very loose storyline has been written, with animated sequences used to illustrate the tunes. Comparisons with Fantasia (another non-narrative musical anthology) seem to me to be quite apt. It is customary to praise the film for the ceaseless psychedelic invention of its visuals, but if you think about it, what else were they supposed to do? Given the job of animating an accompaniment to the song Yellow Submarine, what would you do? You’d look at the lyrics and try to discern some underlying metaphor or subtext to the song. And I suspect you’d find that this really is just a piece of oompah-oompah silliness about some people living in an ochre-hued submersible. The same seems to be true of a lot of the other songs here – I’m reminded of a John Lennon quote, about Hey Bulldog in particular, suggesting it is ‘a good-sounding record that means nothing.’ In a similar way you could probably argue that Yellow Submarine is a visually-striking film that has no particular depth to it. Then again, the late 60s were littered with good-looking cultural artefacts that are a bit cryptic, to say the least, at first glance – you could probably add The Prisoner and 2001: A Space Odyssey to the same list. And the best sequences of animation in Yellow Submarine are certainly distinctive and reasonably inventive, even if the animators seem to be struggling with the fact that some of the songs don’t really have any particular meaning. (The film’s sequence accompanying Lucy in the Sky with Diamonds – and I have to say that while I like the Beatles’ rendition, it’s William Shatner’s which is truly definitive for me – shies away from actual visions of newspaper taxis and marshmallow pies in favour of rotoscoped ballroom dancing.) By the far the most effective segment of the film, if you ask me, is that accompanying Eleanor Rigby, a song which genuinely seems to be about something, and I think this is not a coincidence. One is tempted to suggest the whole film could almost be seen as an exercise in the meeting of contractual obligations – the band themselves turning in some rather variable tunes (It’s Only A Northern Song is about as close to forgettable as the Beatles ever produced) and only turning up in person very briefly at the end. (It has to be said that the actors do a pretty decent job of presenting the Beatles as they are, or were, popularly received – John the sarky rebel, Ringo the clown, George the mystic, Paul the nice guy of ambiguous mortality.) For all of its inventiveness, there are still moments when the film is clearly being rather thrifty – seconds go by in front of static images, while the animation for the second half of the Nowhere Man sequence is plainly pretty much that of the first half, only run in reverse. And yet, and yet, and yet. You sit there and think this film has not aged well, and its roots as a quaint piece of pop-art psychedelia are clearly showing, and the plot is not up to much – but then you listen to the string arrangement of Eleanor Rigby, or the guitar solo of Nowhere Man, or the piano part of Hey Bulldog, or the crescendo from A Day in the Life, and it lifts you up and makes you smile and reminds you of just why the music of the Beatles is woven into all of our lives so indelibly. No-one else in music has ever done so much, so quickly, so well. If ever a band was touched by genius, it was these boys, and for that I am more than happy to forgive them, and this movie, a lot. Suffice to say that the most recent visit dispensed entirely with the adverts (hurrah! ), but also the trailers (hurroo), and in their place featured speeches by representatives of the Oxford University Press and a local charity devoted to helping refugees. As you may have guessed, we were not here to see Deadpool 2, but an advance screening of The Breadwinner, directed by Nora Twomey, an animated film about life under the Taliban in Afghanistan. Yes, yes, I know: it’s a cartoon about the Taliban, so Grave of the Fireflies-esque levels of bleakness and tragedy must surely await, mustn’t they? Well… look, this movie is based on a best-selling book of the same name by Deborah Ellis, and the movie (executive produced by the only Angelina most people can name) was Oscar-nominated earlier this year, so you would hope it to have a certain cachet of quality about it. I think it does; this film isn’t just worthy, it’s worthwhile. Nevertheless, it does largely take place in Kabul under the Taliban regime, so there are inevitably going to be sad bits. Initially we meet Parvana (Saara Chaudry) and her father Nurullah (Ali Badshah). She is a girl just on the cusp of her teens, he is a former teacher who lost a leg fighting the Russian invasion of their country. (The unutterably sad history of Afghanistan is recapped with exemplary clarity early on in the film.) Under the ferociously chauvinist, anti-intellectual rule of the Taliban, life is hard for the family, who are reduced to selling their possessions in the market in order to get food to survive. Things get even worse when Nurullah inadvertently offends a member of the Taliban and is dragged off to prison, with the rest of the family having no idea when or even if they will see him again. Parvana, her mother and sister are left without an adult male relative, which basically means they can’t leave the house even to go shopping without risking a punishment beating from the authorities. How are they expected to live? Well, Parvana has an idea: she cuts her hair, dresses up in her dead brother’s old clothes, and goes out, pretending to be a boy, which allows her to buy supplies and make a little money doing odd jobs. It turns out she is not the only one to have hit upon this idea, and teams up with a friend, Shauzia (Soma Bhatia), who is doing the same thing. Her ambition, though, remains the same – she wants to get her father out of prison, but how can it be done? There is obviously a sense in which The Breadwinner is beyond reproach, dealing as it does with issues of women’s rights, literacy and education – films dealing with this sort of material are pretty much assured of a good response, as I discovered when I saw a slightly suspect documentary on the Afghan rapper Sonita Alizadeh at the same cinema a while back. And there is certainly a lot to praise about the film – the animation is appealing and capably done, especially in the fantasy sequences which punctuate the film. There are no big-name voices in the cast, but the acting is also well done. Yet I feel I have to say that while The Breadwinner is obviously a good film, and commendable in terms of its message, I don’t think it is a great one – I can completely understand why Coco got the nod at Oscar time. Why is this? Well, first of all, although the story is engaging enough, it never completely grips or feels like it is driving forward in any particular direction. The film finishes around the time of (we are invited to infer) the American-led invasion of Afghanistan in 2001, but while the conclusion is reasonably upbeat, there is no real sense of closure or finality to the events. In a similar vein, the film features a story-within-the-story device, as Parvana relates a fairytale to her baby brother and various other characters. It’s a highlight of the film, with a slightly different style of animation, but in the end exactly how this second story relates to the main one is unclear – if it is as laden with symbolism as it seems, it’s very hard to work out how the symbolism actually works. And also – and I admit this is an odd thing, especially to say about an animation which has clearly been made with at least half an eye on a young audience – I just found that it wasn’t nearly as gruelling to watch as I expected it to be, and I was sort of disappointed by this. It’s a film about life under the Taliban, one of the most brutal and illiberal regimes the world has known in recent years, so I half-wanted the film to make me sad, and angry, and outraged, before leaving me feeling a bit uplifted and affirmed in my bien-pensant values. So, in a strange way, the fact that it ended up just being a very nice film was somehow disappointing. 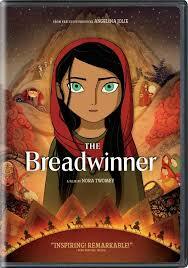 So, anyway, there’s very little wrong with The Breadwinner, and I think it should provide an entertaining and improving experience for any young people (maybe even not so young) of your acquaintance. But I doubt it will really stir the emotions, one way or the other. There are probably very good reasons for this; it’s just a question of whether you feel some real-life horrors should be presented honestly, even to a younger audience. Nevertheless, a thoroughly commendable movie. Never mind your Schrodinger’s Cat, if you really want to talk about indeterminacy, we need to get onto the topic of Hayao Miyazaki and Studio Ghibli’s retirement. As previously noted on this blog, the announcement, after the production of The Wind Rises, that Miyazaki was knocking film direction on the head due to his advanced years was met with a howl of anguish from world-cinema-friendly theatres which was matched only by that marking the release of – allegedly – the final Ghibli film of any kind, When Marnie Was There, in 2016. And yet what gives? Not only did a Ghibli co-production sneak out last year (the bold human-chelonian romance The Red Turtle), but now Miyazaki has decided he hasn’t actually retired after all and is hoping to get a new movie, How Do You Live?, finished in time for the Tokyo Olympics in 2020. Perhaps most confuzzling of all is the appearance on the scene of the new Japanese animation house Studio Ponoc, which appears to be largely staffed by former employees of Studio Ghibli. Studio Ponoc’s first movie is Mary and the Witch’s Flower, directed by Hiromasa Yonebayashi (director of When Marnie Was There and key contributor to a couple of other recent films), and I don’t think it’s overstating the case that the new movie is coat-tailing Ghibli in order to secure the kind of major international release not normally received by the debut movies of non-Anglophone animation houses. The Ghibli influence begins with the choice of source material: in this case, a 1971 novel by the noted English writer Mary Stewart, although the title has been changed from The Little Broomstick, possibly to make it just a little bit more reminiscent of another series of films and books (we will come to this). We are in fairly classic territory here, anyway – one of the characters wears a hoodie, another is rocking a baseball cap, but there is virtually nothing in the story that would be out of place if the film was actually set fifty years ago. The Mary of the title is a lonely and restless young girl (voiced in the English dub by Ruby Barnhill) who has just been sent to the country to live with her great-aunt (a perhaps unexpected but by no means unwelcome appearance by Lynda Baron of Open All Hours fame). Left to her own devices, one day she wanders off into the woods and makes a couple of surprising discoveries: a mysterious glowing plant, and an old broomstick. Yup, we are off into a child-friendly tale of rather traditionally-conceived magic and mysticism, for Mary finds that the plant charges her with supernatural power, and the broom whisks her off into another world and deposits her at the Endor School for witches and warlocks. Here she is greeted by the head teacher, Madame Mumblechook (Kate Winslet), and her deputy Doctor Dee (Jim Broadbent), who hail her as a prodigy amongst young witches, a shoo-in as a new student, a potential head girl, and so on. But do the duo have an ulterior motive for delivering such fulsome praise? And does Mary’s own family have a connection to the history of the witch school…? 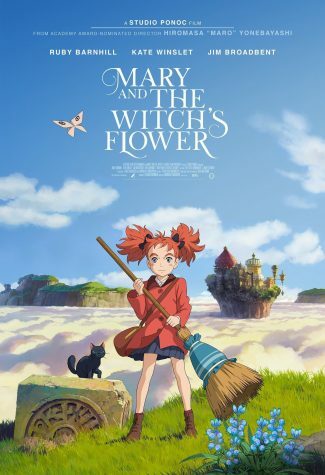 I remember first seeing the trailer for Mary and the Witch’s Flower and the feeling of bafflement it immediately provoked: the look of the thing is, at first glance, so utterly indistinguishable from an actual Studio Ghibli movie that you wonder what the point of the rebranding is. Never mind Studio Ponoc, they might as well have called it Studio Jubbly or Studio Giblet. Of course, the upside of this is that Ghibli make the most beautiful traditionally-animated movies in the world, and Mary and the Witch’s Flower is also an exceptionally good-looking film. Perhaps it isn’t quite as exquisite as some of Ghibli’s films, and there are a couple of moments where I thought a little more fine detail wouldn’t have gone amiss, but this is still very much business as usual, in a good way. The question is to what extent this is also true in the story department, for once again you could be forgiven for finding a fair bit of the story to be, well, not exactly burningly innovative. A school for witches and warlocks? With a menagerie of magical beasts? And a lovably Scottish-sounding member of the support staff? To which a lonely child finds themselves transported? Fair enough, they’ve covered themselves by basing the movie on a book which was published when JK Rowling was still quite tiny herself, but it still seems very much like they’re gunning for that lucrative audience hungry for all things which are just a little bit Potter. I’m not familiar with the Mary Stewart novel, but the script of this movie at least is not really in the same league as those in the other franchise to which I have been alluding. This feels like a movie specifically aimed at quite a young audience, with thin characterisation and a very straightforward story, and in the early stages in particular it ambles along at an amiable pace without a great deal of incident. I found myself in genuine danger of actually falling asleep during the film at one point in the middle; I did go to see an afternoon showing towards the end of a fairly long week, but even so, I don’t think this is a good sign. I am glad to be able to report that the story does pick up a bit as the film builds towards its climax, with some very engaging sequences: visually it gets very interesting, with a definite steampunk feel to some of fantastical alchemical equipment on display, and also a lot of the… do you know, I very nearly wrote ‘trademark Ghibli surreal grotesqueness on display’. Well, it’s true, this movie does make use of the Ghibli house style – it’s just not a Ghibli movie, officially at least. But the thing is that I don’t believe the change of marque is really going to fool anyone. This is a nice, well-made, inoffensive kid’s animation – I’m not sure it really holds as much for the discerning adult filmgoer as the average Miyazaki movie. What makes it distinctive are its attempts to not be distinctive at all: to emulate pretty much every detail of the Studio Ghibli style of film-making, along with a fair few elements of JK Rowling’s famous stories too. Not a bad film at all, but essentially the cinematic equivalent of high-class karaoke. A couple of weeks in and Ready Player One seems to be doing okay, although I suspect not quite as well as its producers might have hoped, all things considered. (Just to digress a little, the list of the best-performing films of the year so far is fascinating reading, with Chinese blockbusters unheard of in the west doing massive business, and the appalling you-know-what having made a soul-bleaching $275 million so far.) Maybe this is because wider audiences are indeed struggling a bit with the non-stop in-jokes and pop-culture references which are such an integral part of the film. You could probably get a good sense of a person’s age and background based on how many of Ready Player One‘s Easter Eggs they recognise; most people will get the Back to the Future DeLorean and the chestburster from Alien, probably rather fewer the glaive from Krull. One of the things that is likely to separate the adults from the younglings (oh yeah, post-Weinstein my idioms are all going to be gender-neutral) is their response to Olivia Cooke’s ride during the race sequence: once again, the majority will, I suspect, limit themselves to something along the lines of ‘Cool motorcycle’ – for the rest of us, of course, it is instantly and obviously recognisable as The Bike From Akira. 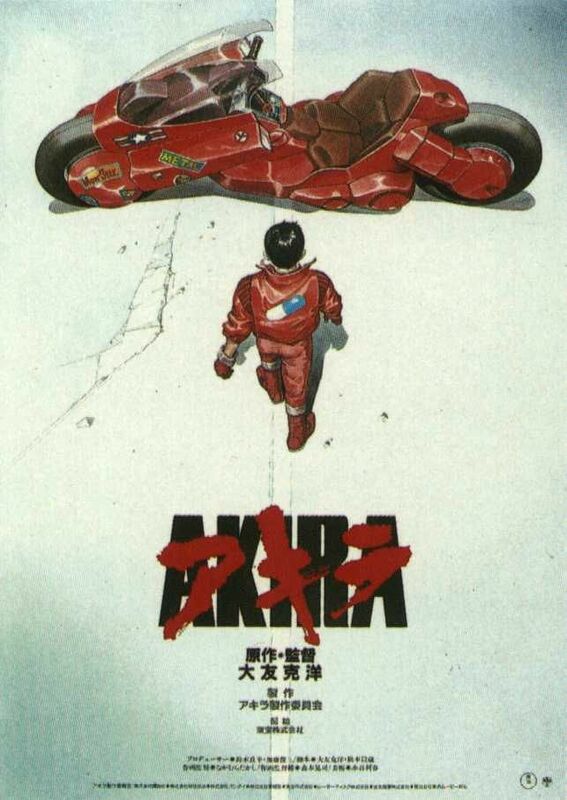 It is a little strange and perhaps even unique that a single element of design should become quite as emblematic of the film it appears in as The Bike From Akira. If you google for Akira-related images then six of the first ten results are pictures of The Bike. This is despite the fact that The Bike has relatively limited screen-time and is really only tangentially significant to the plot of the film. Just goes to show the power of a really great piece of design, I suppose. Hard to believe though it is, Katsuhiro Otomo’s Akira is thirty years old this year, and its futuristic setting should be our here-and-now – thankfully, most of its predictions have turned out to be incorrect, with the amusing exception of the fact that Tokyo is indeed hosting the Olympics in 2020. I first saw it as a teenager, and hadn’t seen it again until very recently; it was a bit of shock to realise that if I leave it as long again before watching it for a third time, I’ll be in my seventies. However, time has not diminished the exceptional qualities of this film, while a little bit of distance has allowed the film’s cultural significance to become clearer. There’s a fair of backstory to Akira, most of which the film quite sensibly parcels out in the course of the story. The essentials are as follows: in 1988, Tokyo was destroyed by a devastating, unexplained explosion, triggering a third world war. By 2019, it seems that civilisation has recovered, up to a point – the movie takes place entirely within the sprawling megacity of Neo-Tokyo. The city is beset by political tensions and random violent crime, with rival biker gangs battling for control of the streets. Members of one such gang are Kaneda and Tetsuo – Kaneda is the owner of The Bike. (A number of versions of this film exist, with different actors voicing the characters.) They are both orphans and have been friends since childhood, although the more insecure Tetsuo is wont to chafe a bit in the face of Kaneda’s swaggering cockiness. Things change for the duo one night, when a run-in with another gang takes an unexpected turn. Tetsuo encounters a very peculiar child who has recently been abducted from a government installation; when the forces of Colonel Shikishima take the child back into custody, Tetsuo is taken too. Kaneda and the others are worried about their friend, and possibly with good reason: he is having visions of a mysterious boy calling himself Akira, and rapidly developing extremely potent psychic powers. The authorities already have a trio of psychics, trapped in a state of arrested development by the drugs they take to control their powers, and are using them to investigate the forces that Akira represents. They want to add Tetsuo to their programme, but have they underestimated his raw power? Animated Japanese cinema is experiencing a bit of a spike in its profile at the moment, following the recent passing of Isao Takahata and with the imminent release of the not-Studio Ghibli movie Mary and the Witch’s Flower. In the UK, of course, animated Japanese cinema is essentially synonymous with Studio Ghibli and those associated with it. Akira is the great exception to this, being the product of a bespoke coalition of companies, such as Toho, who came together specifically to make the film. Nevertheless, the much-commented upon beauty and technical virtuosity of any Studio Ghibli film you care to mention is absolutely matched by Akira, which is a visually stunning film from start to finish. Every frame is filled with colour, energy and movement; the detail of every piece of design is breathtaking. I imagine one could watch the original Japanese version of Akira, not actually comprehending a single word of the dialogue, and still have a pretty good time with the movie. Of course, even being able to speak Japanese, or have access to the English dub, doesn’t necessarily mean you will completely understand the movie the first time you encounter it; I know I struggled a bit, certainly. The fact that it’s called Akira and yet there isn’t really a character called Akira in it can be a bit wrong-footing; the sheer density of the film’s plot and ideas, which are concerned with themes of transhumanism, can also take the unwary by surprise. As well as being several flavours of SF film, there is a sense in which Akira is also a superhero movie and a political thriller, to name but two. I don’t think anyone would honestly watch Akira and believe it was a Ghibli movie, of course, for – other than a few sequences of surreal grotesquery – it is clear that Otomo’s movie has an entirely different sensibility. Ghibli movies are, with the occasional famous exception, fairly soft-centred and ultimately quite gentle; there’s a sense in which Akira revels in its scenes of carnage and devastation. It is absolutely of a piece with a whole movement of dark SF from the 1980s, embodying a kind of dystopian urban alienation. You can draw lines between Akira and Robocop, Akira and Blade Runner, Akira and The Dark Knight Returns. It’s not simply that Akira has clearly been influenced by these other things; it may in fact be the case that it influenced some of them. It’s that it is every bit as sophisticated and challenging as any of them. It may conclude on a guardedly hopeful note, perhaps somewhat inspired by 2001, but on the whole it is asking harder questions about the dehumanising effects of urban life, the real nature of progress, and – perhaps the quintessential SF theme – our ability to responsibly use our own potential. A great animation and a great SF movie, too.